Finally, Lord Vishnu blew on his conch and immediately Dhruva opened his eyes. Seeing outside what he had been seeing all along within, Dhruva was so struck that he could not utter a single word. The Lord touched Dhruva’s right cheek with his divine conch to bring back his speech. Now having spent such a long time in the Lord’s remembrance, Dhruva forgot the objective of his tapasya. He only asked for a life in memory of the Lord. 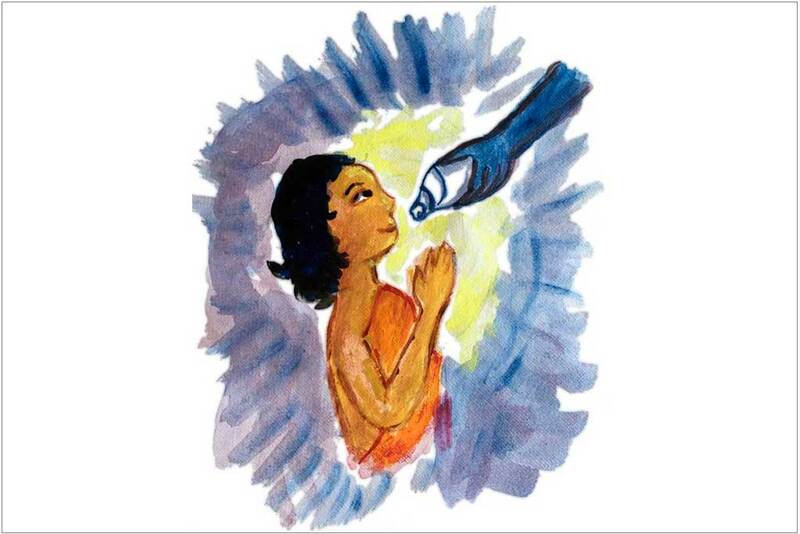 Pleased by Dhruva’s realisation, Vishnu granted his wish and further decreed that the boy would attain a state where he would become a celestial body. In this way, Dhruva would not even be touched by Maha Pralaya–the final cataclysm.